Alexander H, Chen S, McCall CO. “Utility of Brief Skin Cancer Training for Nursing Students,” 2003 (Unpublished). Principal Investigator. Emory University Institutional Review Board (IRB) Committee 1 member, 2004-2005.  SkinDX, a dermatologic differential diagnosis tool for PDA devices. Published 2007 by USBMIS, Inc. The Medical Student Clinical Handbook, a handbook for medical students. Accepted for publication by USBMIS, Inc. In development. Dermatology Clinical Trials Research Fellow, Emory University, Atlanta, GA, July 2004-June 2006.  Chung VQ, Alexander H, Pavlis M, Alexander M, Chen SC, Washington CV, “The Public’s Perception of Dermatologists as Skin Surgeons,” manuscript accepted for publication, 2009.